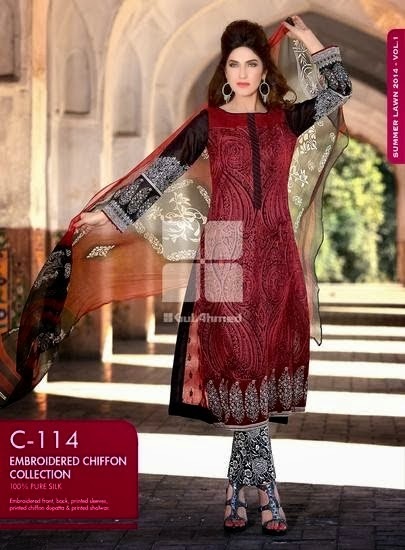 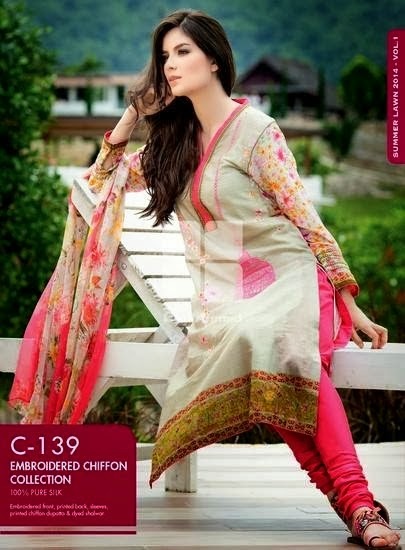 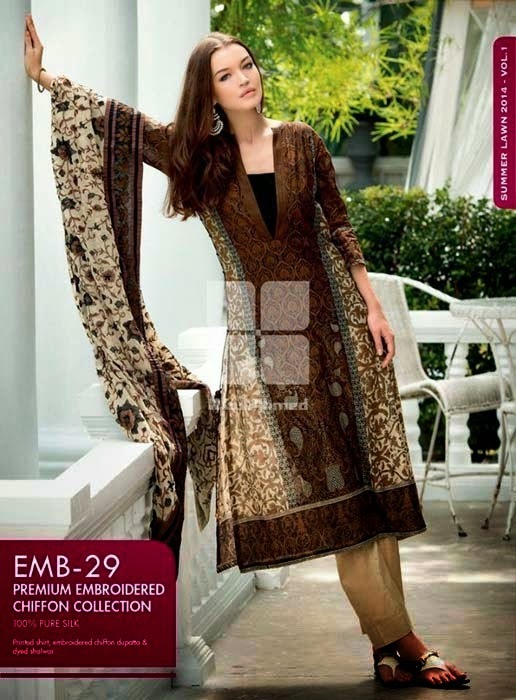 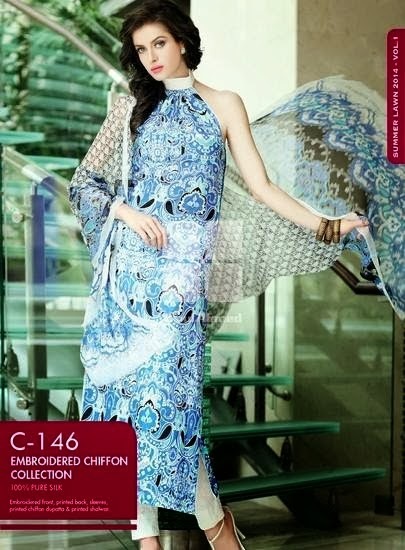 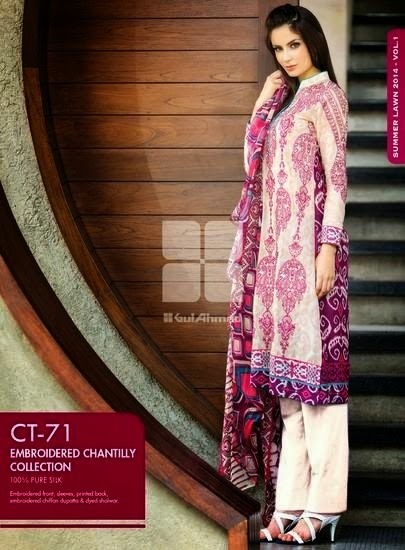 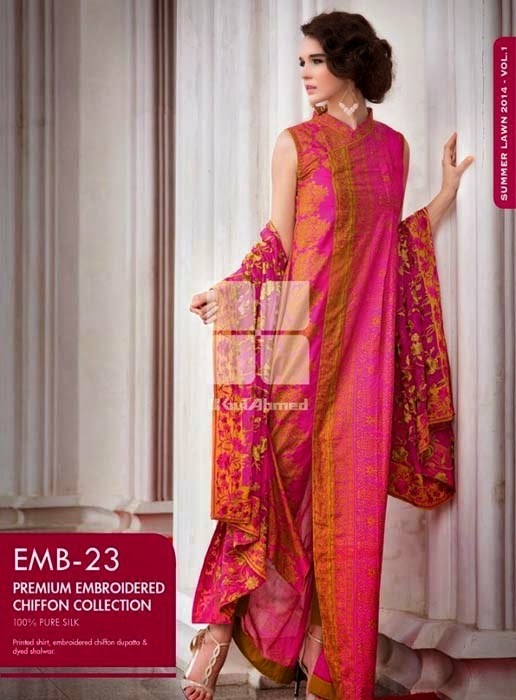 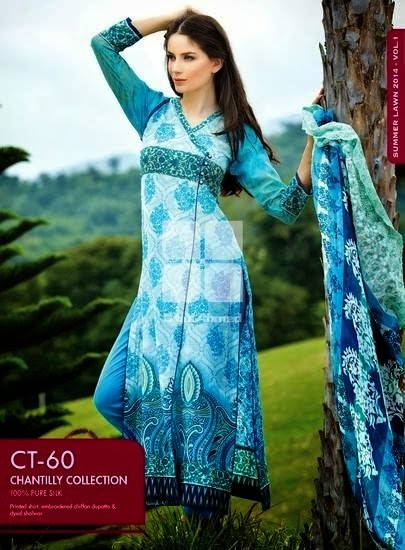 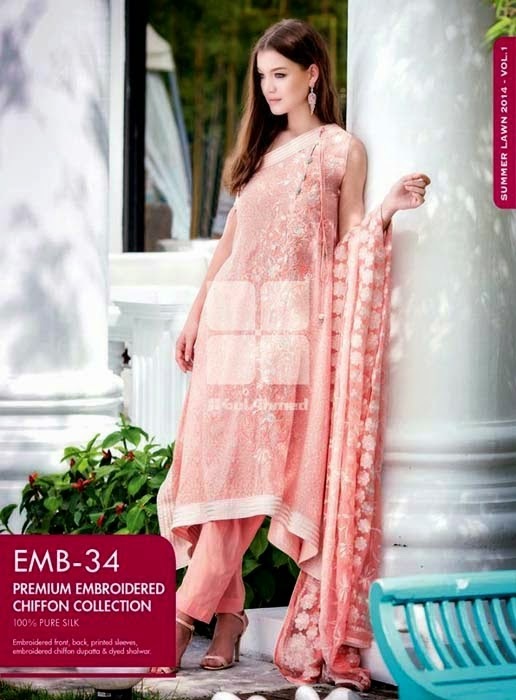 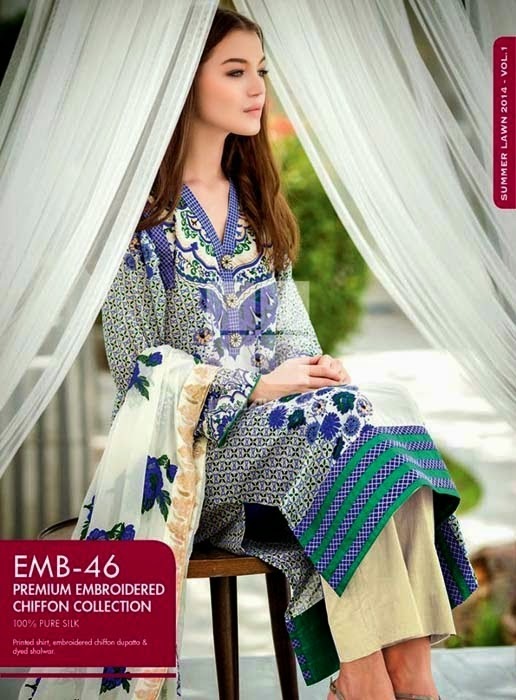 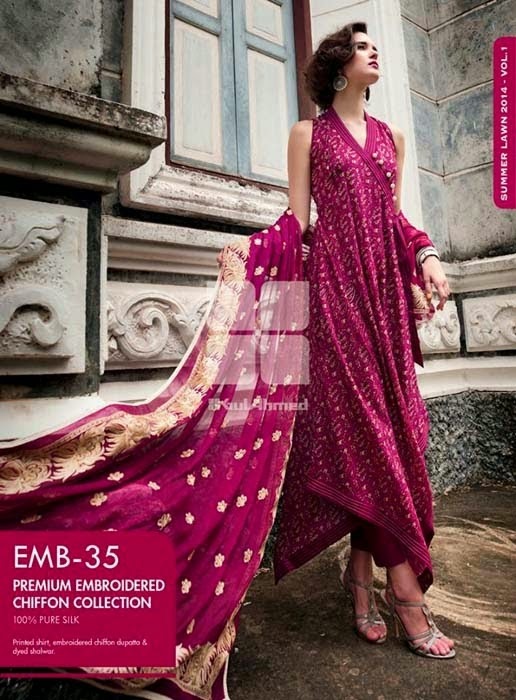 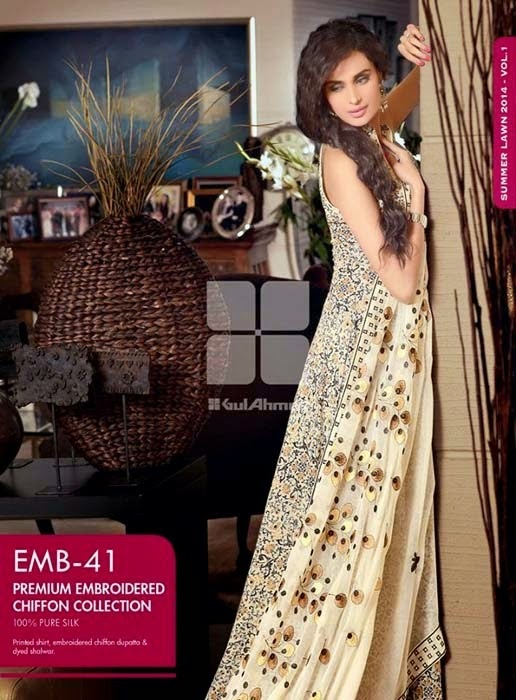 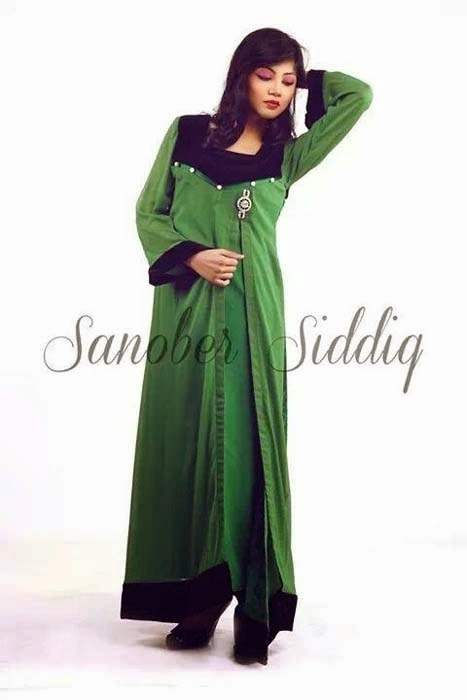 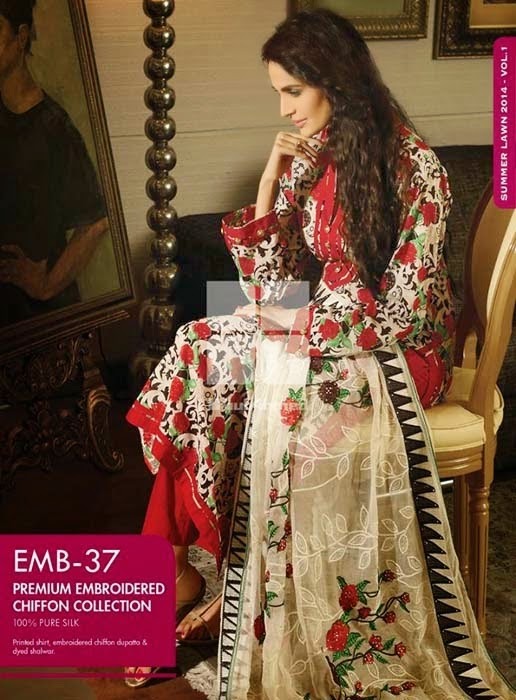 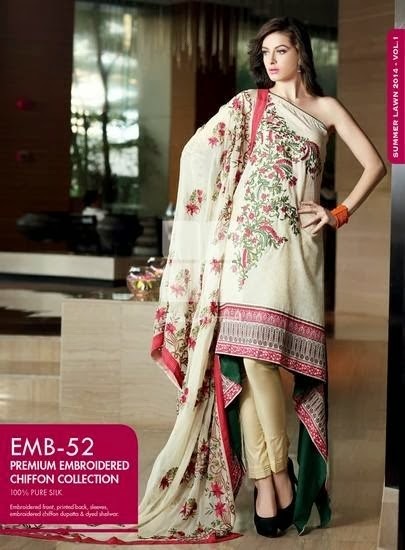 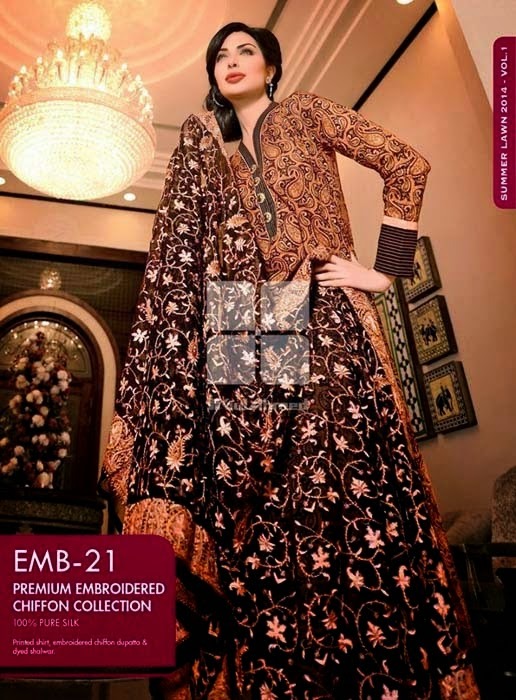 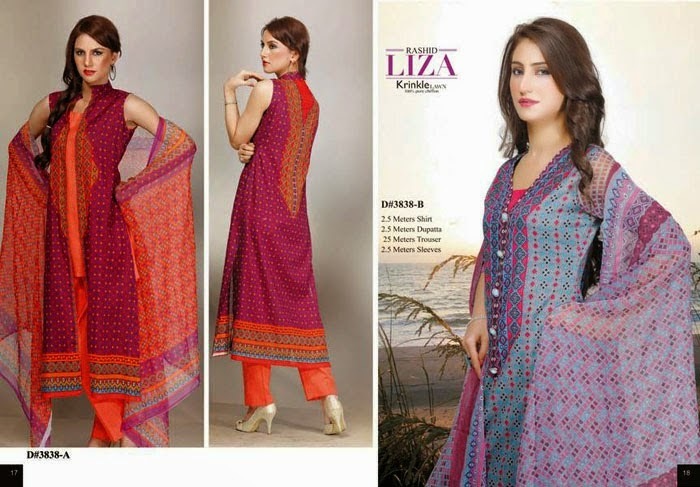 Articles by "Casual wear 2014"
Gul Ahmed is most popular fashion brand of pakistan fashion industry. 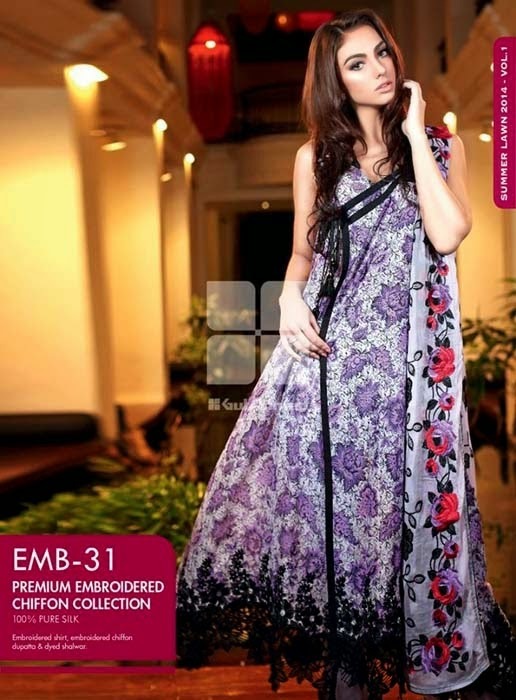 Gul Ahmed Textile Mills was founded in 1953.It is very old Textile Mill of Pakistan and still provided their services. 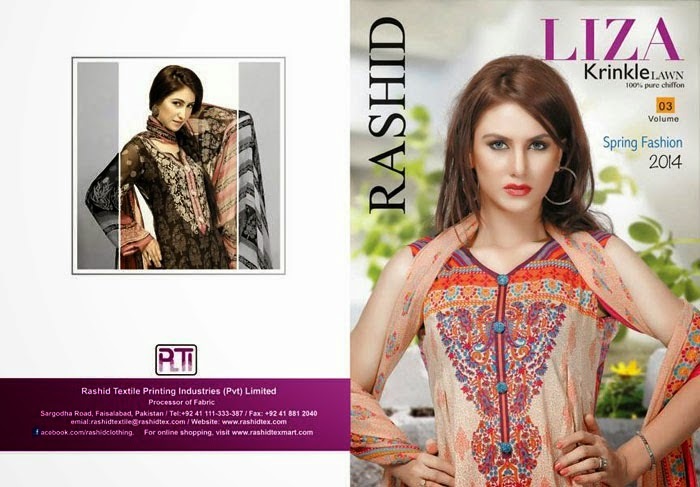 Gul ahmed is playing a vital role not only as a textile giant,but has its strong presence in the retail business as well. 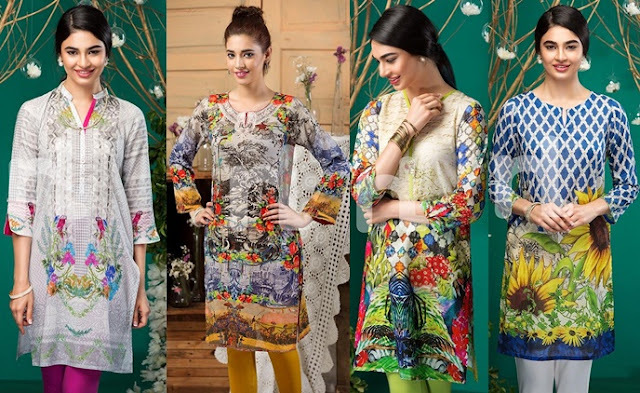 Gul Ahmed always launched every seasonal collections for Men and Women.Gul Ahmed dresses are very bright and colourful and bright printed. 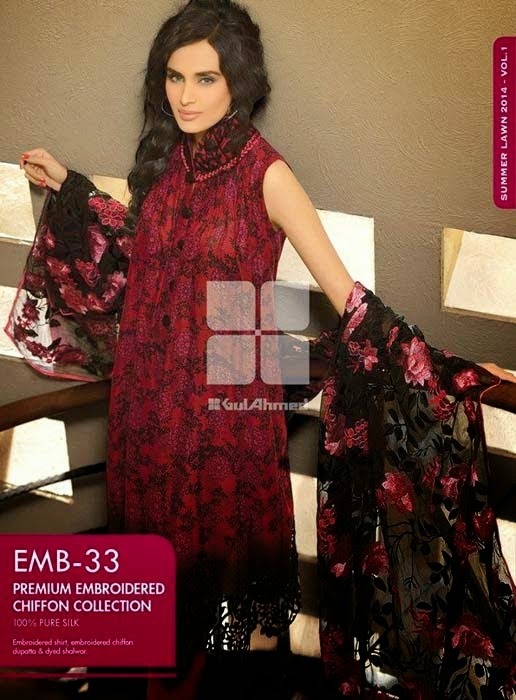 Gul Ahmed used very bright shades used in their prints and collection like,Red,Green,White,Blue and etc. 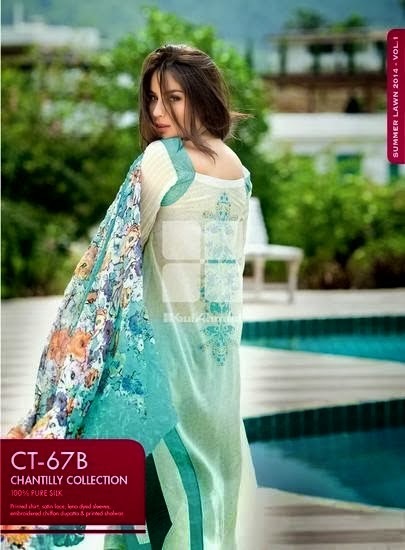 Now this time Gul Ahmed launched their new Collection by the name of''Gul Ahmed Fancy Lawn Collection 2014 Spring Summer''.Before this collection Gul Ahmed launched summer spring collection,G Pret collection,Volume 2,Volume 1 and Embroidered collection as well as.In these collection Gul Ahmed used very Attractive and beautiful colours.These dresses are Long Shirts with Trousers and dupattas. 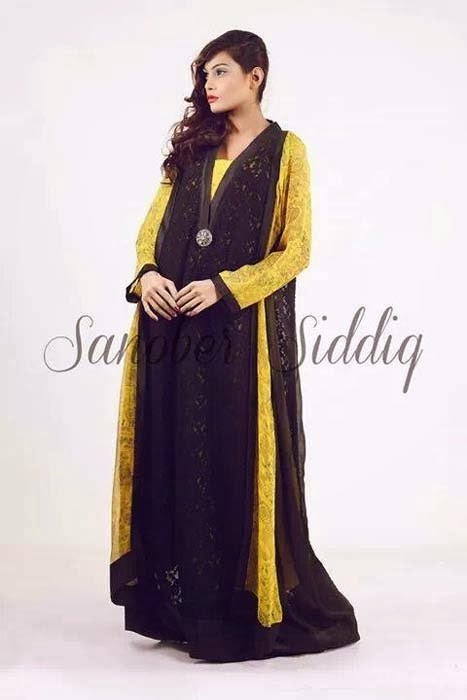 These 3 piec suits are wear for Summer Spring,Casual wear,Party wear,Formal wear and semi Formal wear as well as.These dresses are perfect for every age of women's for this summer.Very bright digital printed colour are used in these dresses.